Here are two CNA resume samples for people who want to apply for this job. A CNA or a Certified Nursing Assistant is the person who serves right below the registered medical nurse and performs all the duties related to patient care. A CNA typically works in a hospital, adult care center, assisted living facilities, nursing homes, and even in private homes. If you want to make your CNA resume stand out in such a competitive market, you need to make it as eye-catching as possible. Don’t be subjective or abstract. On the contrary, you should list as many facts and figures as you possibly can. Make it concise, very appealing, and pleasant from an aesthetic point of view. Here are two CNA resume samples for your consideration. Professional Certified Nursing Assistant with over 7 years of experience in the arena of nursing and medical assistance. I am looking for a job where I can display my skills and abilities, as well as my medical knowledge and my compassionate and caring nature. Responsibilities: Observed how the patients behaved, checked their vital signs and recorded them into their file or as per doctor’s or nurse’s request. Making sure that the patients’ diet, as well as their medication plans, were being implemented in a correct fashion. 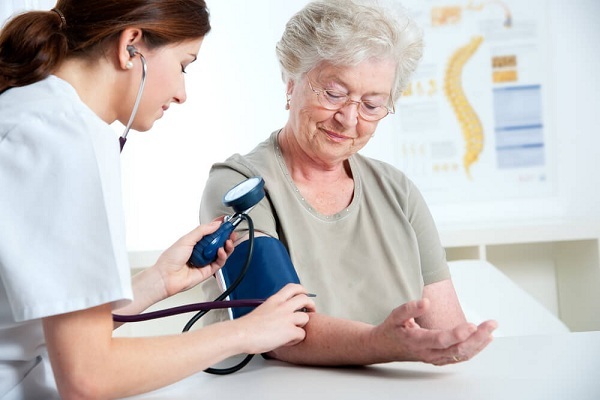 Prepare all the residents for their medical tests as well as procedures. Assist the doctors and nurses during medical procedures if they asked for it or there was a need. Collect urine and blood samples from the patients as per the physician’s orders. Change the dressing on patients that have come out of surgery or from particular medical procedures. Achievements: I devised and implemented a new way of organizing the medical supplies which made them available 24 hours a day. It also saved money, as the new system pre-announced when the facility would run out or when the medication expired. In this way, they could be returned to the provider and receive the money back. Responsibilities: Checked the patients’ vital signs every day. Assisted them with their toilet and grooming needs on a daily basis. Attending to patients that were bed ridden. Moving patients or facilitating movement for them from one room to the next or from one part of the facility to the other. In charge of drug management. Administering both oral and injectable prescribed medication to all patients. Change side for patients who were bedridden so that they don’t get bed sores. When they were discharged or wanted to leave, explain how their medical plan should follow up to all patients. Achievements: Received the award for Best Nursing Assistant in 2011. Very reliable professional Certified Nursing Assistant with excellent charting skills as well as patient care proficiency, which I have gained in the 10 years since I have been working as a CNA. I am very compassionate and have irreproachable technical skills when it comes to taking care of patients and attending to them in multiple healthcare settings. I have both CPR and BLS certifications. Responsibilities: Taking care of patients as per the doctors’ and nurses’ requests in rehabilitation, surgical, acute care, nursing home and home care settings. Minimizing the patient’s discomfort. Preserving the patients’ dignity. Carrying out daily tasks such as changing bedpans, changing diapers, bathing, grooming, and emptying the drainage bags. Proving pre as well as post-operative care to all patients. Adhering to the facility’s safety guidelines. Achievements: Between 2008 and 2010 I saved $10,000 as far as repair costs are concerned because I rectified a minor problem that had occurred to the equipment in charge of suction vacuuming. Committed to the patient’s safety, privacy, as well as comfort. Here are the two CNA resume samples that will help you create a personal resume guaranteed to stand out from the crowd. Certified Nursing Assistants really make a difference in the day-to-day lives of their patients. Therefore, these CNA resume samples can help you land the job of your dreams.